One of the most common air conditioning problems is improper operation. If your air conditioner is on, be sure to close your home’s windows and outside doors. 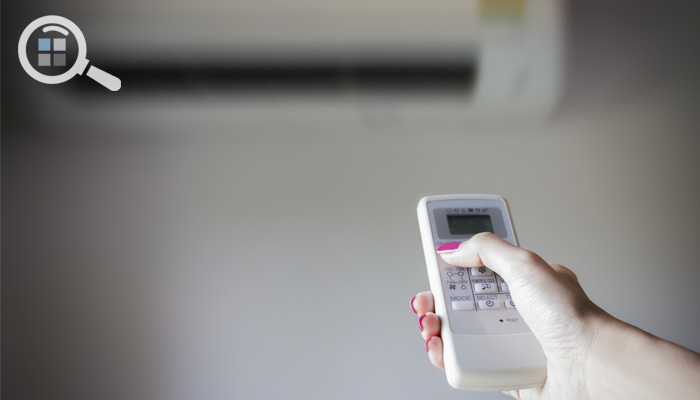 For room air conditioners, isolate the room or a group of connected rooms as much as possible from the rest of your home. For a list of common air conditioner problems and what to look for, check out our Energy Saver 101 infographic on home cooling. Other common problems with existing air conditioners result from faulty installation, poor service procedures, and inadequate maintenance. Improper installation of a central air conditioner can result in leaky ducts and low airflow. Many times, the refrigerant charge (the amount of refrigerant in the system) does not match the manufacturer’s specifications. If proper refrigerant charging is not performed during installation, the performance and efficiency of the unit is impaired. Unqualified service technicians often fail to find refrigerant charging problems or even worsen existing problems by adding refrigerant to a system that is already full. Learn what to ask for when hiring a technician to maintain your air conditioner.